It seems to me that during the first decade of the 21th century the digital guitar effect development has been mainly focusing on modeling technology and digital guitar effects are usually developed to emulate some specific analog effects. Only few manufacturers have pushed the boundaries beyond this point and used digital technology in more creative way to produced something totally new. This line of development is of course mainly dictated by consumers and in general guitarists are probably pretty conservative when it comes to guitar gear and sounds. 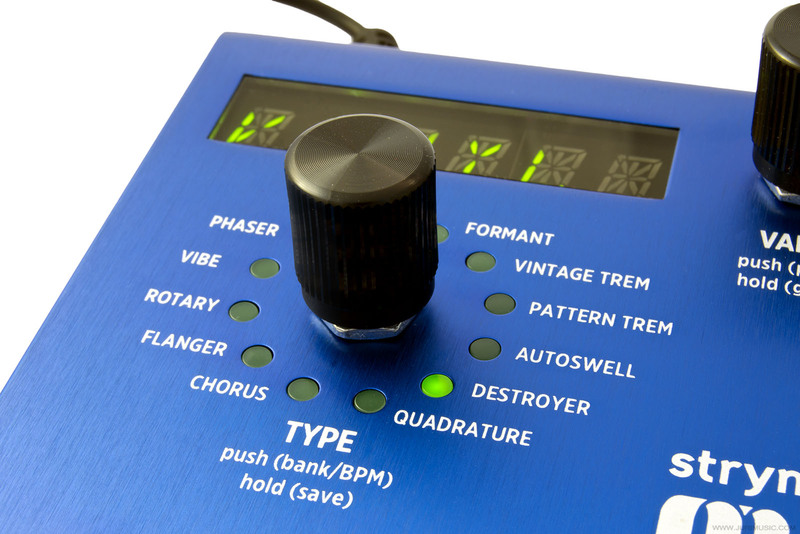 But luckily for us some companies, like Strymon, know how to go beyond emulating old vintage gear. Well, don't get me wrong here. Mobius can produce excellent emulations of sought after vintage pedals but most importantly it can also produce vast array of new interesting sounds. 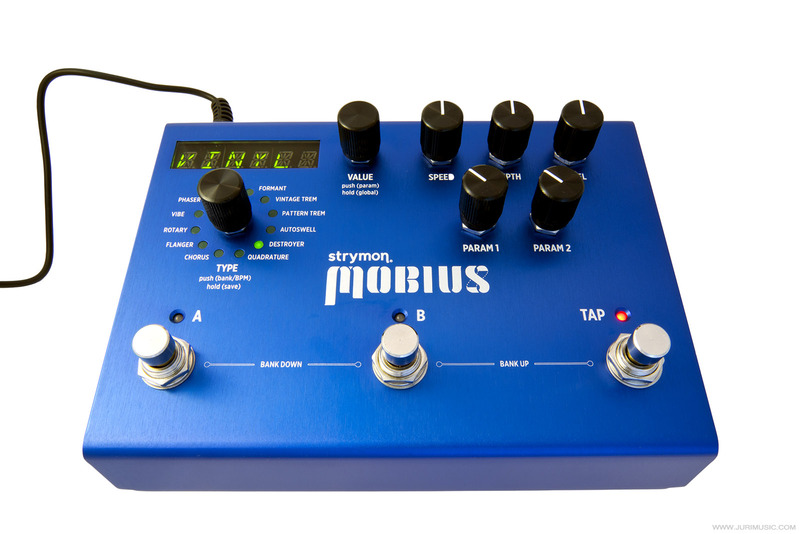 Strymon Mobius is a well designed pedal in and out. The control layout is simple and intuitive to use. Everything revolves around the "value" potentiometer and adjusting different parameters is a breeze: press it once to access machine specific parameters or hold it to access global parameters. There are enough adjustable parameters in each of the 12 modulation machine to give wide range of tonal variations, but there's also a perfect balance between tweakability and ease of use. This is one aspect were Mobius really shines: everything is there for a good reason and features have not been added for just to bloat the feature list. Standard controls (speed, depth and level) are pretty obvious in their functions, but there are also two extra knobs ( param 1 and 2) that can be freely assigned to control any parameter(s). 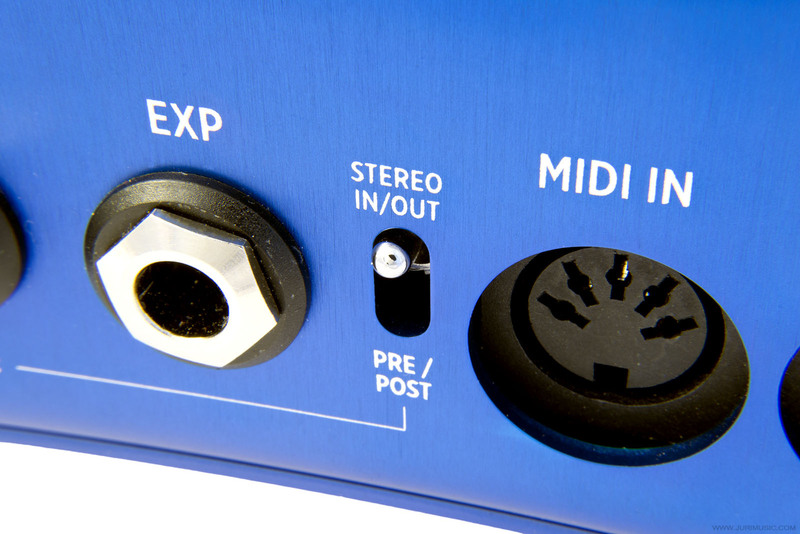 This is a handy function that gives instant front panel access to your favourite parameters. 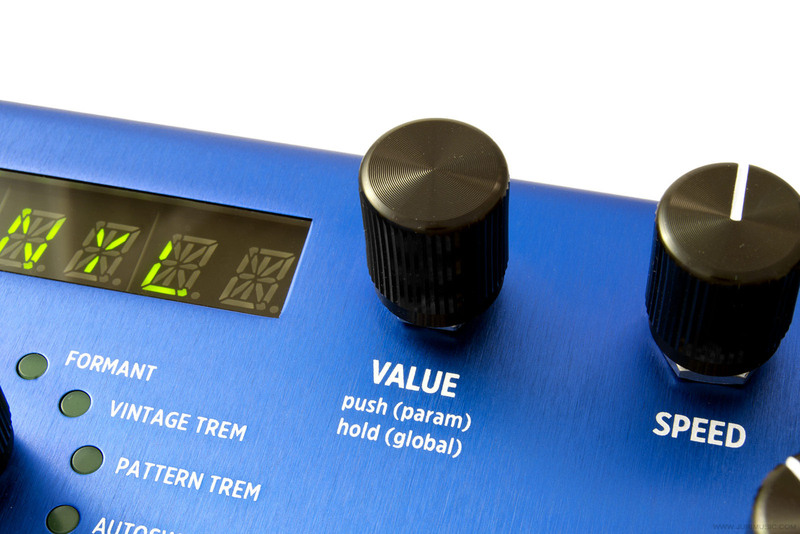 Strymon has payed attention to sleek interface design and the unit is easy to use despite the amount of features it packs. In and out connections are pretty impressive and the effect can function in full stereo mode. Mobius works equally well with instrument and line level signals. This effect is definitelly not just for guitar and I assume that it would work nicely as an outboard FX unit in a studio enviroment. One interesting and clever feature on Mobius is the pre/post-mode. In this mode the Mobius works in mono and the right channel input and output functions as an effects loop send and return. The clever part is this: you can choose whether the effects loop (and thus the pedals in the loop) comes before (pre) or after (post) Mobius and this selection is saved with the preset. So, I can put my dirt pedals into the effect loop and have them pre-modulation on one preset and post-modulation on the other. Pretty handy I must say! I have played with this pedal for quite some time now and it sounds very impressive. The vibrato-mode on the chorus setting is one of my favourites and it sounds fantastic with my 'Tapehead' Multiplex Echo Machine. Set the vibrato depth to low for just a hint of warm pitch warble or crank it to get some acid infused 60's vibes. Splendid! For some reason using the word 'boutique' in conjunction with digital audio effects has always felt a bit odd... but not anymore. 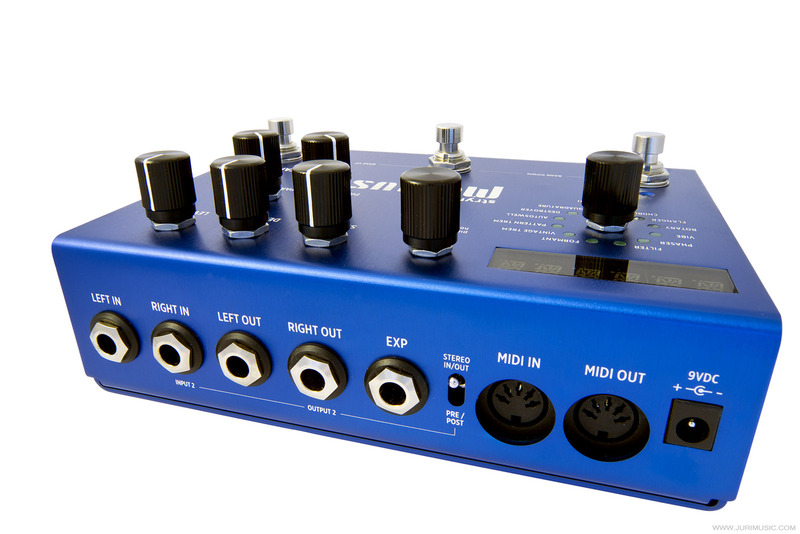 Mobius is a quality unit in all respect: top notch build quality, impressive connectivity and excellent sound quality. Way to go Strymon!